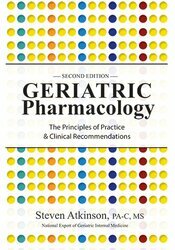 Now in its second edition, Geriatric Pharmacology: The Principles of Practice & Clinical Recommendations is the optimal guide for anyone seeking straightforward, concise and user-friendly information on medication dynamics for older adults. Fully revised and updated, this invaluable resource has become the go-to favorite for healthcare professionals. 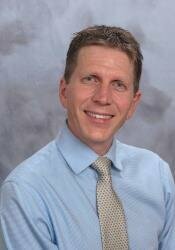 Steven Atkinson is a Board Certified Physician Assistant specializing in geriatric internal medicine. He is adjunct faculty at the University of Utah and has been involved in medicine since the late 1980s. He is dynamic speaker and lectures on various Geriatric topics nationally. He is a published author and serves on several boards related to geriatric medicine and, more importantly, understanding the philosophical grass-roots change needed to care for older adults. Steven is the Co-Founder and Co-Owner of Twin Cities Physicians, which provides "on-site" geriatric care to older adults. He is also an avid outdoors enthusiast and enjoys running in almost every destination he travels to. He "loves" working with the elderly and considers it his "passion" in life. His positive personality and energy have earned him several local awards in the arena of geriatric adult medicine.